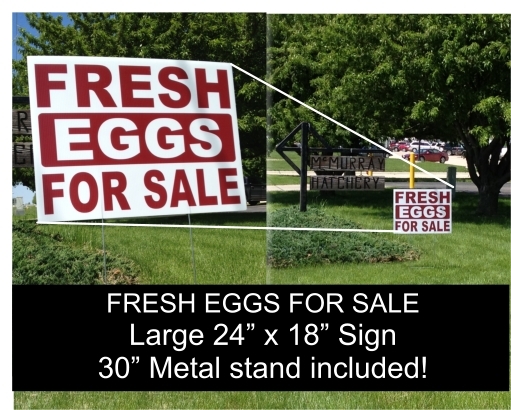 "Fresh Eggs For Sale" sign is 24" wide by 18" tall. It is printed on both sides for viewing from both directions in your yard. It is made of corrugated plastic. This is an attention grabbing sign at a great price to help advertise home or market egg sales. Fresh Egg SignVery satisfied! Eye catching. My husband put a wood frame around it and it shows up Great!